College savings may be able to go toward child support payments. Raising a child to adulthood can be expensive -- an average of $241,080, according to the U.S. Department of Agriculture as of August 2013. And this figure doesn't even take into account the high cost of paying for college. Because child support is established and maintained by each state, different rules regarding support and college savings apply, depending on the state where the child support order was established. A 529 plan is a tax-deferred college savings plan that is usually sponsored by the state or an educational institution. The earnings in these plans are not subject to federal tax and usually not subject to state tax as long as withdrawals are used to pay for eligible college expenses, such as tuition or room and board. Some states offer income tax benefits or matching grants for using a 529 plan. These plans may be subject to division in a divorce decree. Although the child is the beneficiary of the account, the parent is the actual owner. Each state sets a formula to determine the amount of child support to be paid in each case. For example, Michigan uses a formula that takes into account the income of each parent, the number of children involved and the custody arrangement. Additional expenses such as daycare and uninsured medical expenses can also be factored in. Ohio adds each parent's gross income together and subtracts deductions such as income tax, existing child support or spousal support order amounts and the value of federal dependency exemption for each dependent in the household. The paying parent then pays a pro-rated share of the state's charted amount. For example, if the father earns $30,000 and the mother earns $10,000, the Ohio chart requires about $6,500 of child support. If the father pays child support, he pays $4,875 in child support because he earns 75 percent of the income in this example. 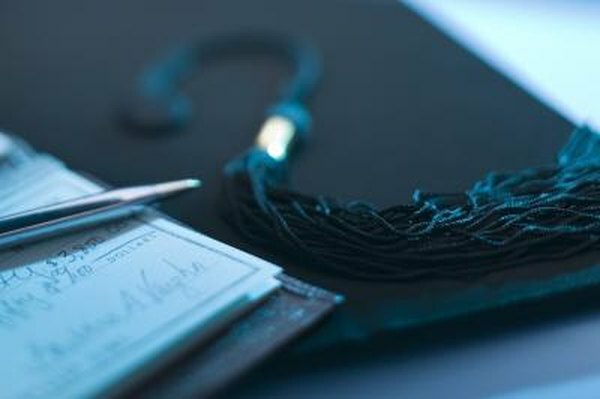 Some courts may allow the amount of child support to be deducted for monetary contributions to other aspects of the child's upbringing, but college savings are not usually considered for these deductions. However, other courts may order a parent to contribute to a child's anticipated college expenses as part of the divorce decree, meaning that the parent may be required to pay child support and 529 plan contributions. Additionally, because the custodial parent may have the account in her name, the parent could make unqualified withdrawals from the account that could incur a penalty. Some states have established initiatives to link the two systems together. For example, Texas has a Child Support for College program that allows custodial parents to apply a portion of a lump sum payment to college savings. Parents have the opportunity to meet with a financial coach who can help them maximize the lump sum payment. Parents who establish a Texas 529 plan are eligible for two matched savings opportunities. The first incentive encourages parents to invest the lump sum payment and the second is to encourage them to develop a savings pattern during the first year of college. Participants must meet with a financial coach at least three times to be eligible for the initial matched savings. Kansas's Child Support Savings Initiative allows noncustodial parents to receive $2 forgiveness of child support payment in arrears for every $1 that the parent puts in the account. Family Law Source: 529 College Savings: Overlooked Asset in Divorce? Ohio State Bar Association: How Do Courts Determine Child Support?